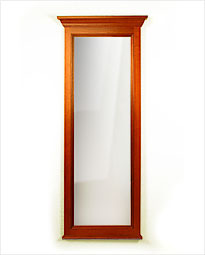 Add charm to your bathroom decor with this beautiful solid cedar frame bathroom mirror with inlay and head moulding. This Laundry Basket looks great in different style bathrooms especially our Classic and Colonial range bathroom vanities. Considered a traditional Australian design, the beautiful bevelled contour imitates the shape of the code of arms. When combined with your choice of Colonial Living's bathroom vanity, our bathroom essentials complete your desired setting, from the traditional to the contemporary. 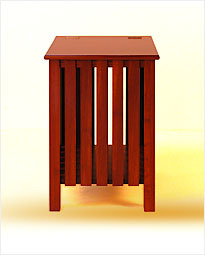 Crafted in solid red cedar, whether it's a laundry basket or a toilet roll storage box, the attention to quality is obvious and the design element is simple yet innovative.